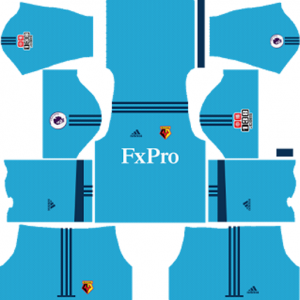 How To Download Watford Kits for DLS: Are you still searching for Dream League Soccer Watford kits and logo URL? Now the good news is, fans of the football game Dream League Soccer can now download the new released DLS 512×512 Kits and Logo URL for your Watford Team and enjoy the game. Watford is a professional football club based in Watford, Hertfordshire, England. The nick names of this football club are The Hornets, The Golden Boys, Yellow Army, The ‘Orns. The short name of this football club is WFC. This club plays in the Premier League, the highest level in the English football league system. This football club was founded in 1881. Watford Rovers was formed in 1881 by Henry Groverand, who went on to play for the club as a full back. 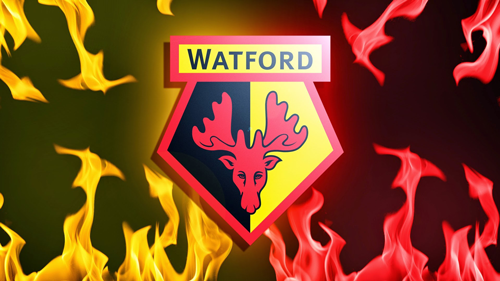 Originaly the club was formed as Watford Rovers and later changed it’s name to Watford FC. Founded in 1881 as Watford Rovers, the club entered the FA Cup for the first time in 1886, and the Southern League a decade later. The club spent most of the following half century in the lower divisions of The Football League, changing colours and crest on multiple occasions. 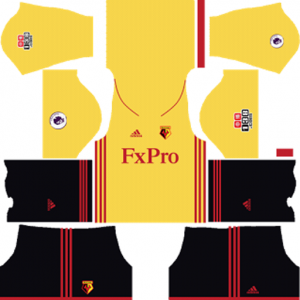 If you’re a big fan of DLS Watford Team, these kits are for you. 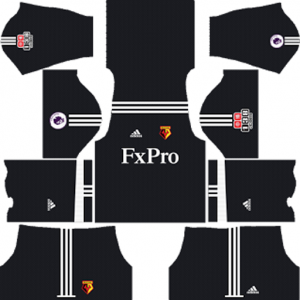 Download Watford Kits and logo for your team in Dream League Soccer by using the URLs provided below. 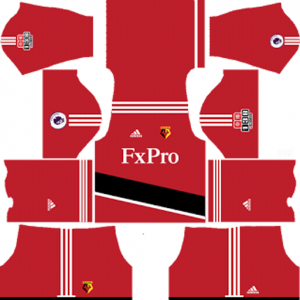 To download Watford kits and logo for your Dream League Soccer team, just copy the URL above the image, go to My Club > Customise Team > Edit Kit > Download and paste the URL here. If you have any request, feel free to leave them in the comment section.